Offering only the highest quality lash products and services. At Hello Birdie Nail & Lash Lab, you can count on premium lash and brow services in a clean and friendly environment. All of our lash artists are experienced and licensed estheticians. They are knowledgable and will teach you about the proper after care and maintenance of your new beauty investment. We offer Bella Lash aftercare to help you keep your lashes looking their best. 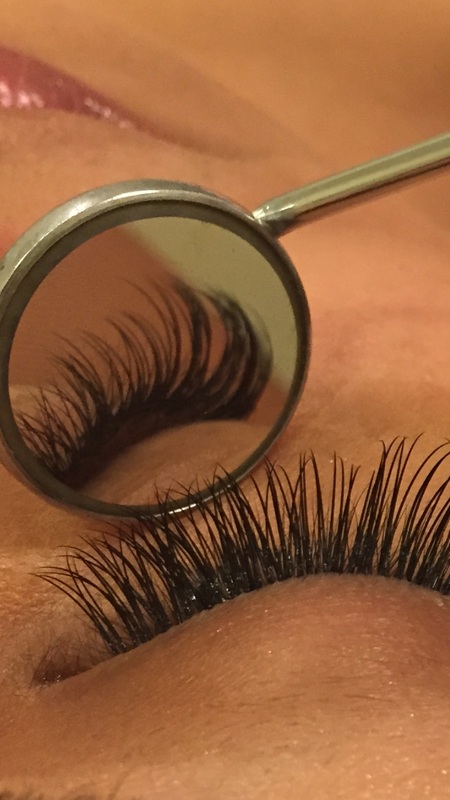 We encourage you to ask your lash artist if you have any questions. Unlike other salons, at Hello Birdie we don't count the amount of lashes we apply. As every client is different, it's difficult to know how many lashes you will need and you may need more or less depending on your desired look and natural lashes. When you leave after a full set or a fill you will have a beautiful set of lashes. For your convenience, we also offer dual nail and lash services. You can schedule a manicure service at the same time! Lash and brow services are by appointment only so give us a call at 619.358.9875 to schedule or click on the link above. We look forward to hearing from you soon Purdy Birdies!! !